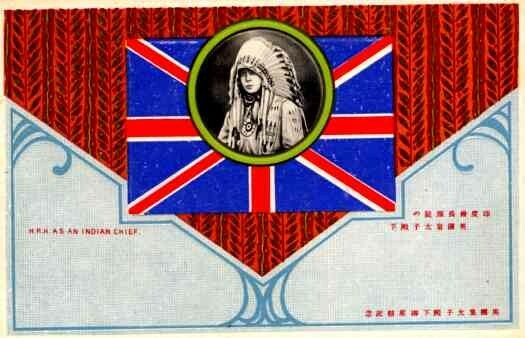 British Prince as Indian Chief Japanese | VintagePostcards.com: vintage, old, antique postcards for collectors. "H. R. H. as an Indian Chief." Embossed. "H. R. H. as an Indian Chief." Embossed. Native American, Great Britain.